Your hair is your crowning glory, and proper care brings out its beauty and luster. While hair type has been preselected for you by race and genetics, how you take care of your hair determines whether it looks fab or drab. If you have wavy or curly hair, you may have struggled with frizz and kinks at some point. 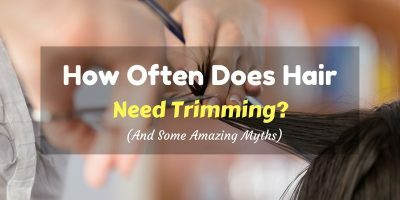 You may have used conditioning and straightening treatments to manage your hair and make it look less wild and more professional. Women have been straightening their hair for centurie﻿s. Nowadays, ladies have several options. There are temporary non-chemical treatments such as flat irons and blow dryers. There are also permanent chemical treatments such as rebonding, relaxing, and keratin treatment. Hair relaxing uses sodium hydroxide (lye) or guanidine hydroxide, while hair rebonding uses solutions containing sodium hydroxide, guanidine hydroxide, and ammonium thioglycolate (thio). Other treatments use formaldehyde in safe levels. These chemicals break the hair bonds. Applying heat seals the chemicals in, resets the hair bonds, and makes the hair straight. It can also dry and damage the hair. Chemically-straightened hair lasts for 2 to 6 months. Some subject their hair to back-to-back chemical treatments, which results to damaged hair and hair loss. Aside from hair damage, chemical treatment is also quite costly. Hair straightening treatments such as chemical relaxing cost around $40 or more. There are also hair relaxers in the form of creams and lotions. You can buy these in salons, supermarkets, and beauty stores. Though relatively cheaper than getting salon hair treatments, these commercial hair relaxers still contain a lot of chemicals. When doing hair relaxing, you should not just focus on straightening the hair. You also need to moisturize and nourish the hair, so that it becomes soft, smooth, and manageable. When your hair is healthy and nourished, it shines. Chemical relaxing treatments and products provide instant results but may damage the hair in the long run. In contrast, natural relaxing provides results that may not be as instant but promote long-term care for your hair. Some basics first before we go to the recipes. Massage your hair and scalp with mild shampoo. Lather it for 10 to 30 seconds. Rinse thoroughly for 60 to 90 seconds, l﻿﻿on﻿﻿ger if your hair is long or thick. Do not use any other hair products such as conditioner, gel, mousse, or spray. Dry hair gently using a towel. You can also air-dry it in front of a fan. Applying any natural hair relaxer to your hair must be done mindfully and gently. Apply mixture to hair by sections: top, right side, left side, and back. This ensures that you coat your hair evenly, and do not miss any part. Start from roots to tips. Do it gently. Do not tug and pull your hair too hard. Do not rush. Massage your hair and scalp. Most recipes call for heating, warming, or melting oils. Here are some of your options to do this. Rule of thumb is that the oil must be warm, not too hot, definitely not boiling. You do not want to scald your hands and fry your hair. Use a warmer, like what mothers use to warm breastmilk. You can u﻿﻿se mi﻿﻿crowave with caution. Microwave heats the container, not the oil. Be careful not to burn yourself when microwaving oils. As long as you do not overheat it, you should be safe. Put container with oil in the water. Remove after a few minutes. Lastly, to wash your hair after applying hair relaxer, use mild shampoo. You can even opt to just rinse with water, especially if the mixture you used is not oily and sticky, and if you like the fragrance that it leaves behind. Note also that some oils and mixtures take time to come off. Be patient, and do not tug and pull your hair. Remember, hair care is at the heart of hair relaxing. Now here are some natural hair relaxing recipes. 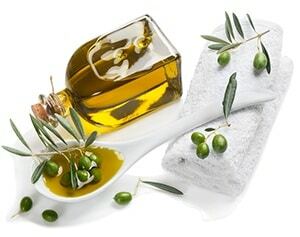 Olive oil provides deep nourishment to your hair. 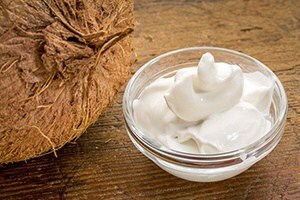 Some mix it with hair creams and conditioners for extra moisturization. 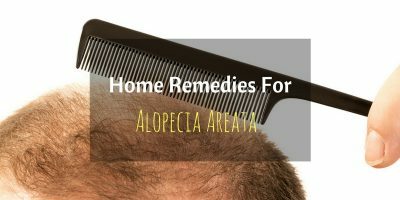 It can also work as a 1-ingredient hair relaxing treatment. Below is the hot olive oil procedure that your hair will thank you for. You can do this once a week to get best results. Heat olive oil. Apply on hair. Wrap hair in hot towel. Blow dry hair for 5 to 10 minutes. Wait for 1 to 2 hours. Wash hair. 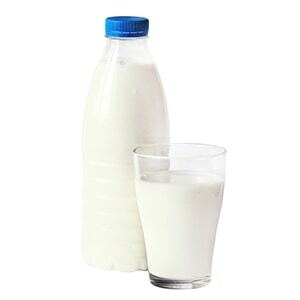 Aside from olive oil, milk is also a 1-ingredient hair relaxing treatment. It moisturizes and softens hair too. Wait for 1 hour. Wash hair. 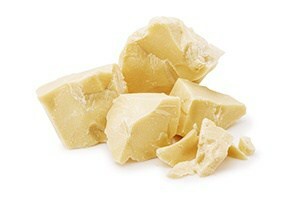 Like olive oil and milk, cocoa butter moisturizes and softens hair, loosens curls, and removes frizz. If you don’t have this in your pantry yet, you can easily buy a high quality and good brand of cocoa butter from your usual supermarket. Wait for 30 minutes. Wash hair. 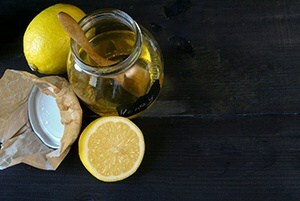 You can also mix ingredients to create a hair relaxing mixture. Combine olive oil and milk, for instance. Or whip up this 4-ingredient natural hair relaxing recipe for a zesty, sweet, and caramelly treat for your hair. This 3-ingredient recipe moisturizes, softens, and relaxes your hair naturally. It also leaves a sweet, vanilla-like scent on your hair. 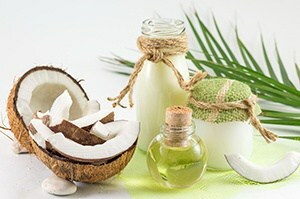 Melt coconut cream and coconut oil. Add yogurt. Mix thoroughly. Apply on hair. Wait for 1 hour. You can also try this other 3-ingredient recipe. Cover hair with plastic shower cap. 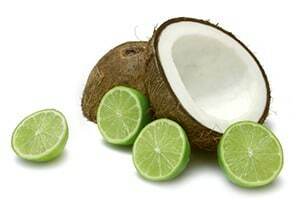 You can also mix coconut milk and lime to get a hydrating and straightening mixture for your hair. Whisk these with olive oil and cornstarch to thicken the mixture and make it stick to your hair better. Heat a saucepan over low heat. Mix all 4 ingredients in the pan, maintaining low heat. Whisk until you get a consistency of a store-bought conditioner. You can add more cornstarch if you find the mixture still thin. Apply on hair. Cover hair with plastic shower cap. Wait for 2 hours. Wash hair. These are just some of the best and most common natural hair relaxing recipes. Feel free to explore, mix and match, and create your own recipes as you go along. Results may not be immediate as chemical treatments. Effectiveness depends on other factors such as quality of ingredients and treatment duration. It can also depend on the receptiveness of your hair. One session of natural hair relaxing may not be enough to undo the damage from years of chemical treatment. Give your hair time to adjust to your all-natural approach. The recipes above are natural and easy. They use readily-available raw ingredients instead of strong and harsh chemicals. They also use usual kitchen and bathroom tools. With these, you don’t need to buy expensive ingredients and equipment. You get to save on expensive salon treatments, too. After your first trial, you may find that you still have your natural waves and curls. But you will also notice how your hair is more hydrated, softer, and smoother. After months of doing this natural regimen, you will see your waves and curls relaxed, loosened, healthier, stronger, and more manageable. Which of these do you recommend for the tightest curl pattern? Which is the strongest?